of their devotion and love. 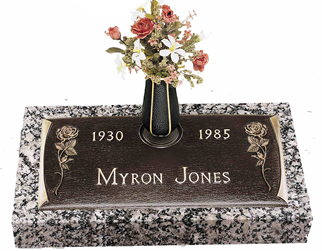 At Burleson Monuments we provide memorial information without any sales pressure. 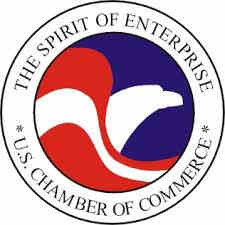 Our standard shipping is free within the 48 contiguous states. We offer written order confirmation and a computer generated drawing with each order. 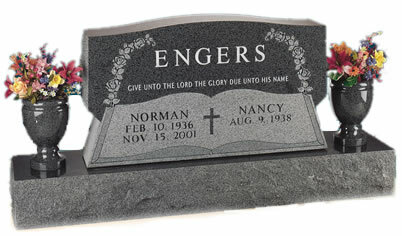 We work with your cemetery to provide the required documents, at no extra charge. 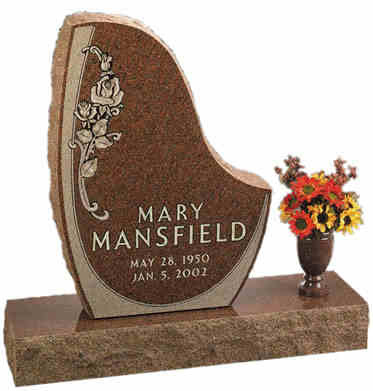 Our experienced memorial consultants, memorial designers, and craftsmen are prepared to create a memorial that is both beautiful and durable. Burleson Monument Design & Mfg., Inc.
and workmanship at reasonable prices. 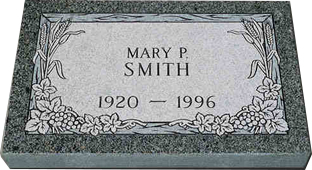 The memorial consultants at Burleson Monuments understand that ordering a memorial can be a stressful experience. 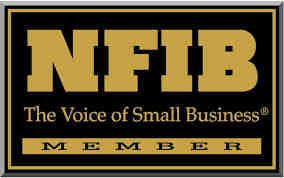 We make every effort to provide information and design assistance without sales pressure. Most of our memorial consultants are second or third generation in the monument business. 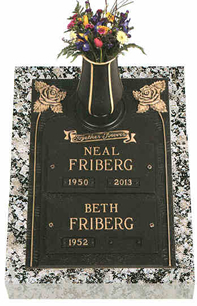 We are pleased to offer our experience to help you design a beautiful memorial for your loved one. 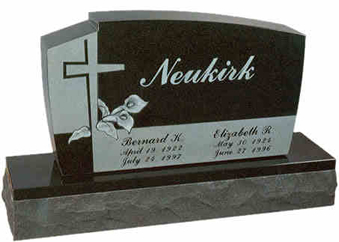 Cemetery Headstones, Grave Markers, Cemetery Monuments, Memorial Benches, Memorial Portraits, Flower Vases, Slant Headstone Markers, Bevel Markers, Bronze Headstones, Bronze Plaques, Pet Memorials, and Laser Etching.